We wanted to upgrade our old furnace and got a few different quotes. The folks at distinct cooling demonstrate d that they had the best knowledge of what needed to be done, bit also pointed out a few long standing deficiencies in our existing system. Their work was top of the line. Hello Mr. Adair, Thank you so much for the review! Our technicians take a tremendous amount of pride in the technical parts of their trade. But they also take even more pride in a job well done and knowing that a system is in prime working condition. We want all our homeowners to be confident with their home's heating and air conditioning systems and that it will perform efficiently, reliably and safely! Thank you again! Enjoy your new system! I had previously had another furnace repair person come to fix the problem ,they spent >1 day but they could not fix it. Jordan from Distinct came to my home and fixed the problem within 2 hours using OEM parts. Extremely competent and pleasant. Thank you Jordan! Hello Tracey, Thank you so much! We were so sad to hear about your experience with the previous service company. Jordan is an extremely knowledgeable and he is very conscious of how a negative experience can affect our customers. He is always working towards turning that perception around. 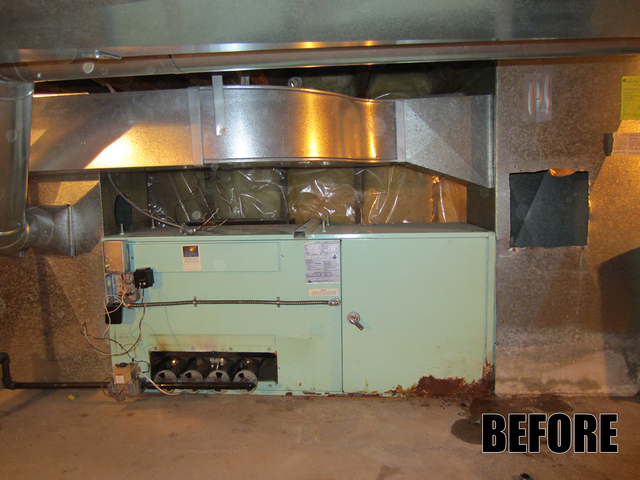 We are very grateful that you chose us and trusted Jordan with helping you to get your furnace back up and running. I had them come and replace my humidifier and thermostat. I received a quote beforehand and the final cost was the same as the quote, even though the technician decided to replace my flexible water line with a copper one and replace my flexible drain hose with rigid tubing that was secured in place. He also didn't like how the furnace was wired and so he redid that as well. I appreciate that he upgraded the accessories connecting to the humidifier, which he wasn't really required to do. He then took the time to show me all the features on the thermostat so that I would know how to operate it. I'm very happy with the service and can't think of anything else he could have done to improve. Hello Nathan, Thank you for the wonderful review! We can often go into someone's home and do a common humidifier installation - but we are here to make sure that what it connects to is working well and not overlooked. We can do some simple improvements to help with this - like a few of the upgrades and changing out the lines to help ensure that it will operate well for a long time! And if you don't know how it works - that's not good either - so we like to take the time you need to understand it as well. Thank you for calling us and trusting us with your humidifier install Nathan! It was a pleasure to work in your home with you! I had a new humidifier installed in the fall of 2018. I had purchased the wrong humidifier pad and when I went to remove it, the pad ened up getting wedged and would come out. I called Distinct today, and Nate came over that very same day and removed the wedged humidfier pad. Great response time and great customer service! My wife and I moved into our house last year. It was a freshly renovated older bungalow. We found out after the first winter that although the furnace worked, there were many cold spots in the house and it was either too hot or too cold. We had over 5 different HVAC companies come and give quotes, and after a lot of research we decided to go with Nate and his team from Distinct Heating and Cooling. This was by far the best service we have ever received from a contractor. The installation was flawless , right down to the electrical lines being straight and level , and the retaining clips being evenly spaced. My wife and I are very much attention to detail. The new furnace works amazing and our home is so much more comfortable. Best money we have spent on the home so far. Would highly recommend them to anyone. This is one of the best customer service companies I have ever worked with. I am pretty savvy, so I researched everything I was told and they didn't upsell or exaggerate at all. You pay a small premium for them but get the best equipment and amazing service. About a month after my furnace install I had an HRV leak. They came same day, fixed it, and didn't even charge me. I met Nate down at the Calgary Fall Home Show and we discussed my options for replacing my 26 year old furnace. Out of ever company representative I talked to about options for furnace replacement, Nate was definitively the most knowledgeable. I left my contact information with him and was contacted the very next day to set up an in-home estimate. When Nate came to my house, he spent an hour going over all the options and fine details needed to meet my specific requirements, without trying to upsell me on unnecessary products. Side note - the other two in-home consultations I had from other companies spent about 10-15 minutes at my place and provided me with limited feedback, one of which didn't even follow through with sending an estimate! 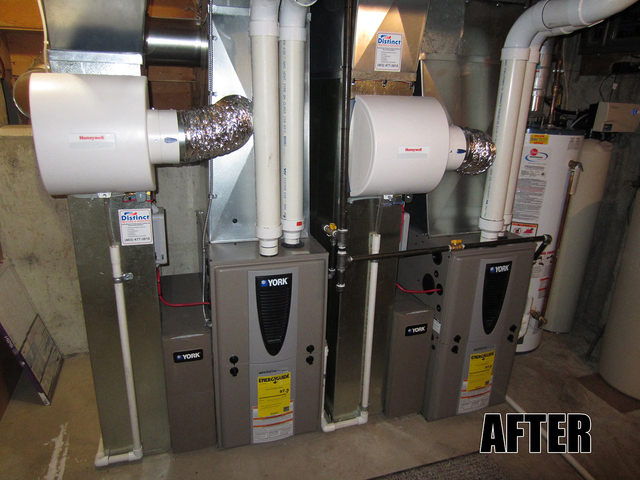 During installation, the Distinct team always arrived on time, were very careful with the removal of the old furnace, installed the new furnace with perfection, and cleaned up so well that my house was actually cleaner than before they started! The final invoice had no hidden fees and was exactly the same as the estimate provided. I am undoubtedly happy with Distinct's superior quality of service and would recommend them to anyone without hesitation. Thank you Nate, Chad, and the rest of the team! Hello Brandon, Thank you so much! You have articulated what we expect from our team right from first introduction all the way through to the process to when we have completed work in your home. We expect that our team will help you understand the what options are available to you, how that will be accomplished in your home and then when we get there - you are left in better shape than when we got there! We are very thankful for your review and appreciate the time you took to send it in! 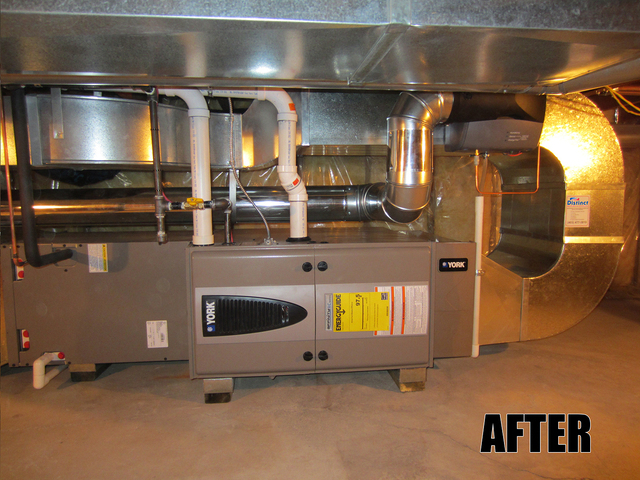 We has Distinct Heating and Cooling install AC in June 2018 and they did a great job. Unfortunately our older furnace (installed by another company) was giving us some trouble and I texted Nate about it. He was right on it and with some good trouble shooting by two technicians, they found the problem and we had a working furnace again. The service was very prompt and the technicians were very respectful and friendly. I would not hesitate to recommend this company to anyone. They deliver top notch customer service. I had not planned to write a review, but something happened recently to change my mind. About a year ago, Distinct gave me a quote to replace an old furnace, hot water heater, and install a new air conditioner. It was not the lowest, but Nate spent a lot of his time to explain to my wife and I what had to be done, and why, as well as exploring some options. We took several months to decide and Nate was very patient and helpful while we waffled. The installation went exactly as planned, with a minimum of issues. Ok, a couple of almost inconsequential things. We had a dip switch on a control board that was set wrong, and an overpressure cutout on the A/C. Each time Nate dispatched someone the same day the the issues were addressed in minutes. I still didn't want to write a review. Then last week I broke the Air Filter. I still have no idea what I did but I busted it. (I believe it was an ID-10.T error...) Nate was impressed, he didn't think it could even be broken. I called Distinct expecting bad news, and a steep repair price, since it was entirely my fault. But Nate had one of the technicians stop by my house and drop the parts off before I even got home from work that day. He charged me the minimum amount possible. 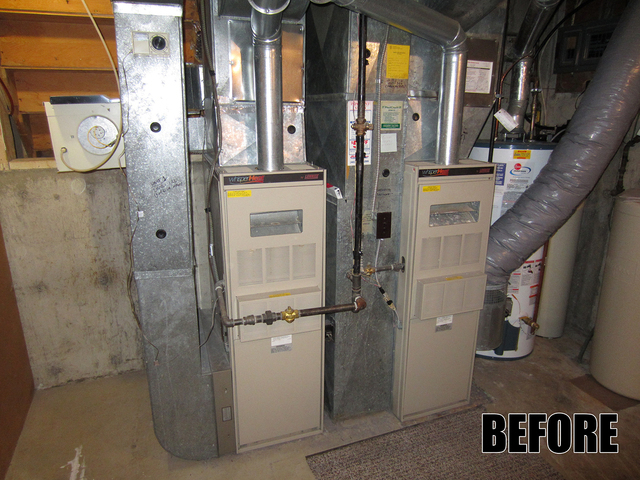 We had Nate and his crew replace our furnaces and hot water tank. Our furnace room is tight (an understatement) and right in the middle of our house. It was not an easy job that required ripping out and replacing the chimney all the way up through the attic/roof. Nate and his crew completed the work, on budget, a day earlier than they estimated. They also coordinated the inspection with the roofing company so we didn’t have to worry about it. As much as we don’t like having to have a furnace company out for visits, it’s always a pleasure to see Nate and his crew and with the new equipment, I expect our visits will only be annually for quite some time. What makes us different from other heating and cooling companies that installs or replaces furnaces, air conditioners & home automation? At Distinct Heating & Cooling, it is all about quality. We believe in doing it right the first time. We take tremendous pride in our quality and attention to detail. At Distinct, we do business according to old-fashioned values. • We treat your home like it’s ours. If we wouldn’t do it in our home, then we won’t do it in yours. The highly skilled technicians at Distinct complete a strenuous four-year apprenticeship program. We take tremendous pride in the quality of our service, down to every detail of an installation or repair. Our workmanship is second to none, and we sell only top quality equipment built by leaders in the industry. 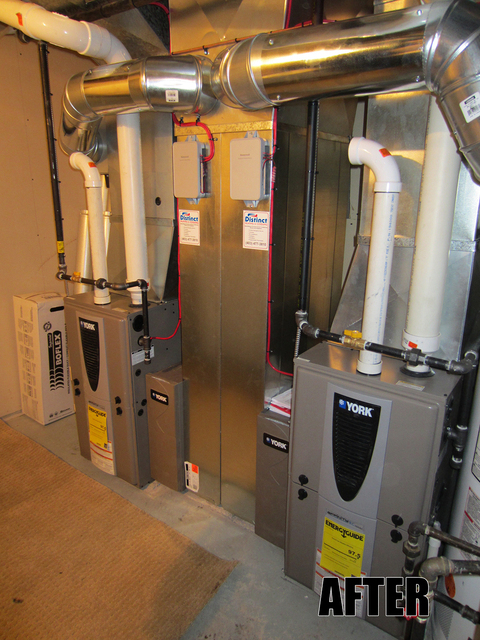 Whether you’re looking to replace your inefficient Calgary furnace, add air conditioning, increase the air quality in your home, or just repair your existing system, the experts at Distinct will guide you through the entire process. We will explain all your options to you upfront, in a way that will make sense to you. Then we’ll help you make the decision that works best for you so that you can feel confident about your choice. Our technicians are fully trained to meet all your HVAC needs. Furnaces, Air Handlers, HRV, Air Conditioners, Humidifiers, Thermostats, UV Lights, Air Purifiers. HVAC Installation. Service & repair of all makes & models. 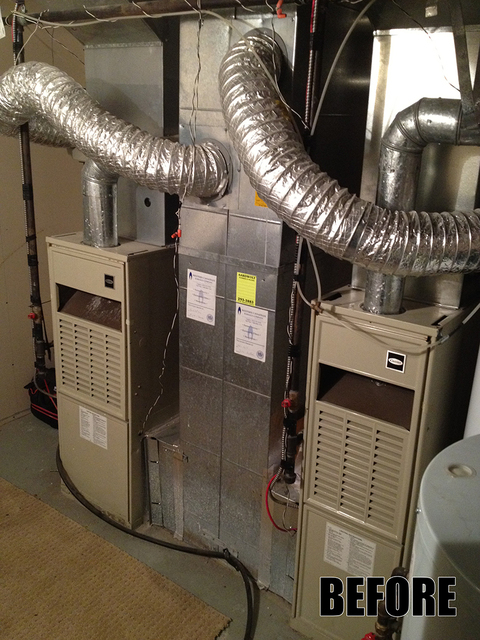 Heating, Air Conditioning, Ventilation, Ductwork, Humidifiers, Thermostats, Indoor Air Quality. 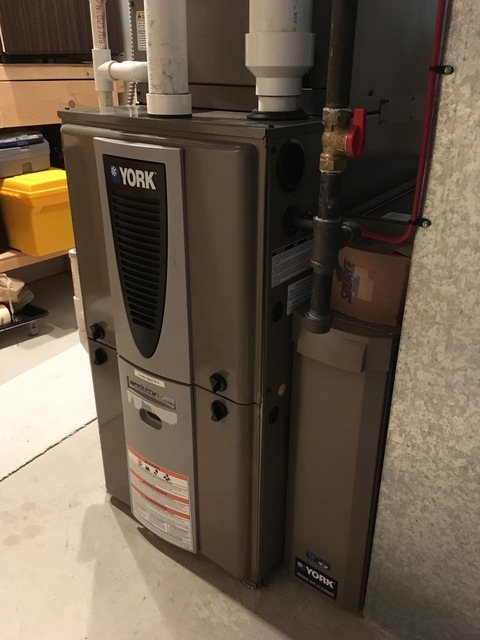 York, Honeywell, LifeBreath, General Aire, Sanuvox, Aprilaire, Rheem, Lennox, Carrier, Goodman, Amana, American Standard, Bryant, Tempstar, Heil, Armstrong, Coleman. Service all brands. Best warranties in the business!